Training is critical for all organisations to ensure that workers have the appropriate knowledge and skill to competently complete the inherent requirements of their role safely. 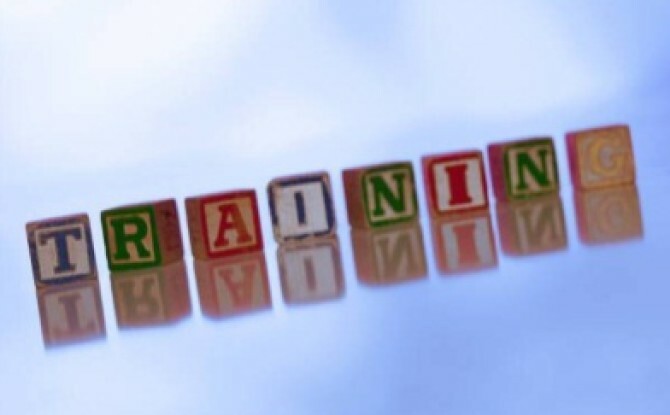 What training looks like varies considerably and will often depend on the training requirement. We often ask the question to our clients “what consideration did you make when developing the training program in your workplace?” Often, their response is limited. This article takes a look at “blocked” practice versus “random” practice. In a sporting context, everyone has been exposed to blocked and random practice. Think about going to the golf driving range, shooting a basketball or netball. When training to execute the skill, do you think it would be better to act out Scenario A 10 times, before moving onto Scenario B for 10 attempts, and then onto Scenario C for 10 attempts (this approach is referred to as blocked practice); or, would it be better to act out Scenario A once, Scenario B once and Scenario C once and repeat this 10 times (this is referred to as random practice)? The answer is dependent on whether you were assessing the performance in the training, or the performance at a later date. Blocked practice should produce better performance than random practice during the initial rehearsal/training. Blocked practice is an effective way for the participant to “understand” the components of the individual skill. Once this skill is understood, it is random practice that facilitates the participant’s ability to retain the skill. Why? During random practice, the participant is required to fully focus on the skill and replay the entire motor pattern. Blocked practice sees the participant make small adjustments to the motor pattern, in line with how they executed the skill on the last occasion. In a “real” life situation, do you have the ability to make minor adjustments based on your last performance? If the task is new for the worker(s), you may want to schedule training activities to transition from a blocked to a random approach when developing the training materials. If it is re-training and the workers are familiar with the skill, you may want to schedule all training activities in line with random practice. In addition, you will need to consider what do the attendees’ work tasks looks like? If their work requires constant variation in the task; random practice is likely to be more effective. Golf is a great example here, you often hear about players frustrated as to why their “form” at the driving range does not translate onto the golf course. The reason for this is, on the golf course they only get one shot/chance to execute the skill (and that shot counts). Whilst at the driving range, they implicitly make minor adjustments (to their motor pattern) between attempts, using the knowledge of their last attempt. This means that the consequence of errors is not as visible. It also means that the “form” they have described on the driving range, has been learnt from the adjustments they have made from their earlier shots during that practice session. How can this be better managed? At the driving range, consider changing clubs or the scenario for each shot, train how you play. This is the same for training in the workplace – is there variation when your workers operate machines, or undertake certain activities? To support learning, where appropriate, a key consideration for the person developing the training is to move away from a blocked approach to a randomised approach. Whilst challenging for your participants initially – it will improve their skills in the future. Another aspect to consider is how your competency assessments are structured? If the operator can continue to attempt until they “pass”, does this demonstrate competency, or does this demonstrate that they have an ability to use the feedback provided from the knowledge of the last result? The importance of getting this right will depend on the impacts to your workplace of the “error”.